Tickets for purchase for door prizes! Women in Aerospace Canada (WIA), in cooperation MFC and the Atlantic Canada Aerospace & Defence Association (ACADA) will be hosting a conversation with a panel of women working in aerospace and aviation to share their stories about their career journeys and their successes. This event is aimed at women working in the aerospace industry and young girls interested in learning more about careers in aviation and aerospace! Johanne Gallant joined the Fredericton International Airport Authority (FIAA) in March 2015, bringing over 30 years of success in the fields of marketing, sales and international trade to New Brunswick’s capital city. Prior to joining the FIAA Ms. Gallant spent over a decade leading the considerable growth at the Greater Moncton International Airport as Director of Airport Commercial Development and Acting President and CEO (2011-2014). Previous to that role she held various positions with the New Brunswick Department of Tourism and Economic Development including Director of Marketing and Trade Sales. Her proven track record of establishing new routes and markets by developing strategic business partnerships with multiple levels of government, other airports, private industries and associations has resulted in significant investments in the local, regional and provincial economy. 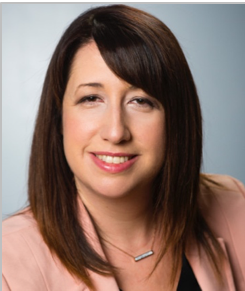 Ms. Gallant is Board Director of the Atlantic Canada Economic Council, the Canadian Airports Council and past chair of the ACI Marketing and Communications Steering Group. Also, she is a former board member of the Greater Moncton Chamber of Commerce; former Chair of Major Gifts division for the Transportation Discovery Center; and former Chair of the Canada Committee, under the auspice of the Canadian Tourism Commission. Although she has a busy schedule, her passion for fitness, health, and travel complements her dedication to her job. She has also enjoyed participating in humanitarian missions with her family, which allowed them to assist with fund raising and building a women’s medical clinic and elementary schools in the Democratic Republic of Congo, Africa. 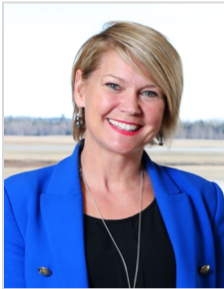 Stéphanie Clark is currently Chief Executive Officer of the Charlo Regional Airport Authority, the not-for-profit corporation that manages, operates and develops the Charlo Regional Airport located in Charlo, New Brunswick. 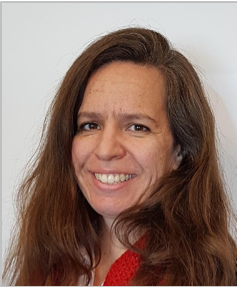 As an aviation and international trade development executive, Ms. Clark has garnered twenty(20) years experience with several large and small Canadian airport authorities. Her experience includes strategic planning, airport management, international business development and trade, air service development, marketing and corporate communications. 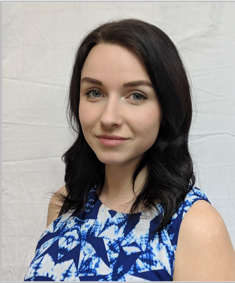 With a successful track record with aviation business attraction, Stéphanie’s experience with international government and stakeholder relations has proven invaluable with attracting new air services and opportunities that contribute to regional economic development initiatives. Stéphanie’s passion for aviation has its roots from the time where she ascended to the rank of Warrant Officer Second Class with 349 Squadron in Campbellton, NB. She returned to her home after being away for over 20 years, to manage the Charlo Regional Airport Authority and revitalize aviation services in the region. Stéphanie holds a Diploma (honours) in Transportation and Logistics from CCNB-Dieppe, a Professional Logistics Certificate from the Canadian Institute of Transportation and Traffic, a Project Management Certificate from Mount Royal University, and is an accredited member of the Project Management Institute. Sergeant Ginette Harvey is stationed in Gagetown, New Brunswick, where she manages the technical training of aviation technicians at 403 Squadron. Sgt Harvey was recruited as an aviation technician and has 18 years of experience in the field. She has been trained to work on CF-18 fighter jets and CH-146 Griffon helicopters. 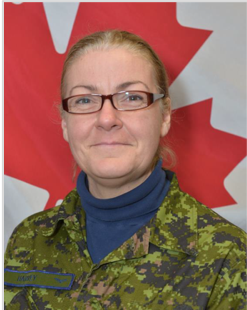 She was previously stationed in St-Hubert, Quebec as a Griffon instructor and has worked as a first and second line technician in Cold Lake, Alberta. She has trained a hundred technicians and mentored several hundred over the past 12 years. In her military career, Sgt Harvey has been deployed to New Mexico, Florida, Hawaii, and Texas, as well as overseas in Sicily, Italy. Sgt Harvey has previously served in Comox, British Columbia and Inuvik, Northwest Territories on missions that ensured Canadian border security and sovereignty. She recently participated in the 160 km Nijmegen Marches, a four-day event that sees Canadian Air Force members retrace the liberation of the Netherlands from the Germans in World War II, walking the same terrain where 7600 Canadians fell during the campaign. In the past year, she organized a squadron summer BBQ and Family Day and has been involved in fund raising for United Way Canada. In addition to her primary duties, Sgt Harvey supervises the squadron canteen, provides guidance as the Environment Officer and trains members for Human Performance in Military Aviation. Stephanie Nash is the Quality Assurance Supervisor in the Aerospace Division at Apex Industries. Apex manufactures CNC machined components, and assemblies for world class military and commercial companies such as Lockheed Martin, Boeing, Bell Helicopter, and Bombardier. As a Mechanical Engineering Technologist, Stephanie develops quality improvement initiatives for the division and provides leadership to the quality assurance team. She supports new product development and continuous improvement by integrating quality control tools into the manufacturing process. Rebecca Barkhouse currently works for PAL Aerospace as a First Officer with EHS – Medevac. Previously she worked at Moncton Flight College as a Class 2 instructor, check pilot, simulator groundschool instructor. Rebecca relates well to the Chinese students at MFC due to her 9 years of teaching Aviation English/ ESL in China. She worked for various universities and colleges developing curriculums, teaching materials and practical ICAO English classes. She graduated from Moncton Flight College in 2004, and immediately went to Bakers Narrows Fishing Lodge to achieve her float rating; then returned to Moncton Flight College to further her knowledge by becoming an instructor in 2005. Finding balance with her professional career in Aviation, she’s been a costume designer with amateur theatre, gardening, reading and she’ll always willing to sit down to have a coffee and a chat! 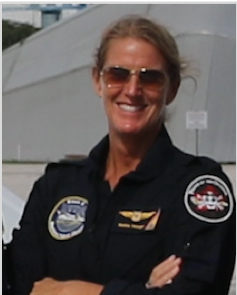 Kathie Sanderson Morgan began flying in 1998 in Prince Edward Island on the Navajo and Beech 99 aircrafts. She started her commercial flying career with Air Canada Jazz flying the Canadair Regional Jet (CRJ). Kathie latter moved on to PAL Aerospace where she has spent the last 15 years flying Dash 8’s and King Airs. In her current role, Kathie is the Dash 8 MPA Training Captain responsible for flying ISR missions on contract to the Dutch Caribbean Coast Guard. Registration: There is no cost to attend this event! Please register in advance. Payment for the optional introductory flights will be collected on site.